my good luck or all the hard work that went into finishing the dissertation, many of it at the cabin. grabbed albums to introduce to each other like new friends. My memories of the first place I lived are fuzzy. 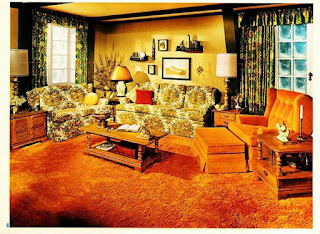 I remember orange carpeting and brown walls in the trailer my parents rented the first three years of my life before we moved into the house on 6th Avenue that they still live in thirty years later. I remember a car my mom drove a few years later when she first got her license a little better. It was a tan sedan, a nondescript Ford or Mercury model with leather seats that smelled vaguely of cigarette smoke and oil, making my young mind think of the piles of dog poop soured by age that sat in the back yard of my parent's home until we got around to cleaning them up. 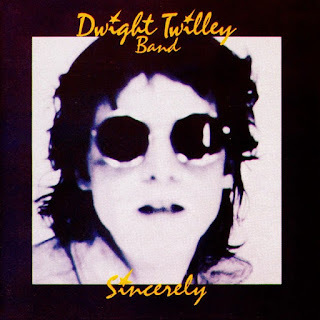 Track This: The Dwight Twilley Band's "Sincerely"
This is the second part of a summer series of Track This entries that will focus on lesser-known power pop songs. Track This: Ultimate Fake Book's "Real Drums"
This is the first part of a summer series of Track This entries that will focus on lesser-known power pop songs. 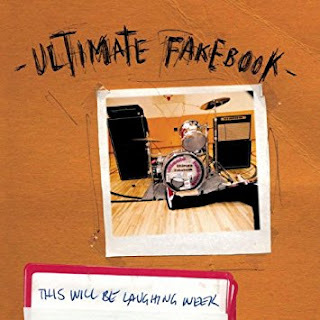 I first discovered Ultimate Fakebook in the cheap bin at one of my favorite record stores, Radio Kaos, and I am not exactly sure why I picked it up. Looking at the album cover for their major label debut, the repackaged This Will Be Laughing Week, now, I do not see how it attracted me. I'm assuming that I had heard the name in reference to shows they played with The Get Up Kids or other Kansas area emo bands that I was heavily into at the time.